A wallaby on my property. To ambush my uninvited guest. Well I have no reason to object. And both of us benefit from it. But what harm will all my looking do? Limping my way to something new? As she does and never with such cause. She carries a baby in her pouch. Like eyelashes are those peeping paws. 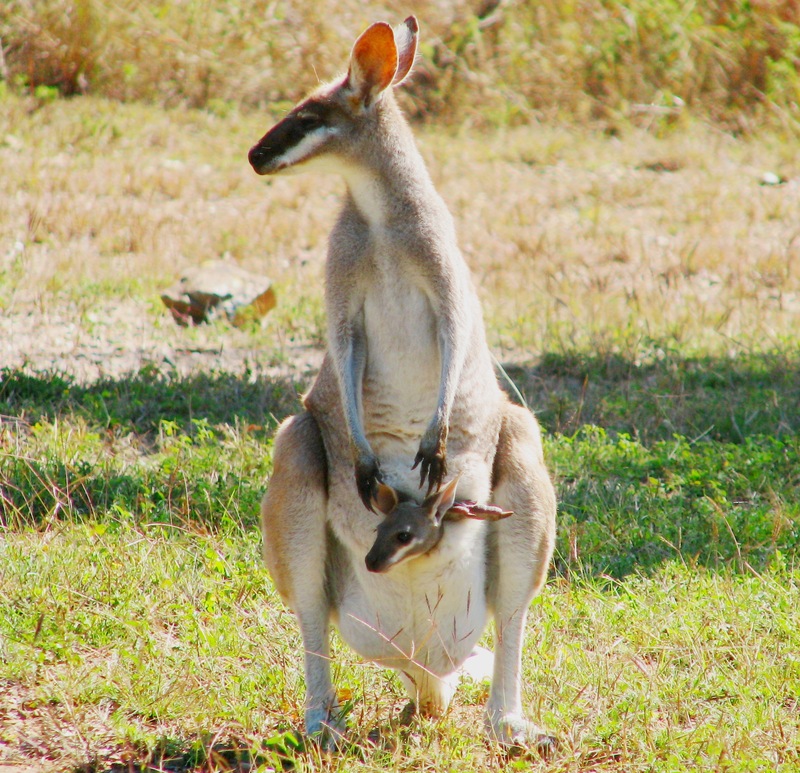 The courage of a mother wallaby is a beautiful thing to watch because she comes so delicately, not at all like a wild thing. Sadly, it isn’t all beauty. A wallaby carries ticks. I lost my 5 month old puppy to tick poisoning recently and the tick was almost certainly carried by her or some other native mammal. There is an animal track through the long grass around my dam and I suspect that is where the the tick hijacked my unsuspecting pup. Bye Baby Biggles. Luv u always.